II. Incentive at the rate of 10% the marks obtained for each year in service in remote or difficult are as upto the maximum of 30% of the marks obtained in the entrance test for admissions in Post Graduate Medical Courses. The proposal of Medical Council of India (MCI) to amend the Post Graduate Medical Education Regulations, which makes one year rural posting at a Public Health Centre (PHC) mandatory for a MBBS student to apply for admission in a PG course, is not yet notified. * The data is not segregated for Andhra Pradesh and Telangana. Based on Cancer incidence cases and Pooled M/I ratio of Mumbai data (2009-2011) report. The cost incurred for treating cancer including diagnosis, medicines, radiotherapy etc., inter-alia depends on the type of cancer, the site/location in the body, extent of spread, and the stage at which the disease is detected. The number of doctors working in government sector having training in Oncology and number of government medical colleges in the country which have Oncology wards is not maintained centrally. While doctors with D.M (Medical Oncology), M.Ch (Surgical Oncology) and M.D (Radiation Oncology) treat cancer patients in higher level tertiary care hospitals, Cancer is also being treated in hospitals by other doctors such as general surgeons, gynecologists, ENT surgeons etc., depending on the type and site of cancer. In fact, cancer is being diagnosed and treated at various levels in the government health care system. Government of India had assisted 27 regional cancer centers which have Oncology wards. Government of India has recently approved a scheme for enhancing the tertiary Care cancer facilities in the country. Under this scheme, GoI will assist 20 State Cancer Institutes (SCI) and 50 Tertiary Care Cancer Centres (TCCC) in different parts of the country. Central Government is supplementing the efforts of the state governments for providing healthcare facilities including for cancer. The treatment in government hospitals is either free or subsidized. Financial assistance to Below Poverty Line (BPL) patients is provided under the Rashtriya Arogya Nidhi (RAN). The Health Minister’s Cancer Patient Fund within RAN has been set up in 2009 wherein 27 erstwhile Regional Cancer Centres (RCCs) are provided with revolving funds to provide immediate financial assistance upto Rs. 1,00,000/- to BPL cancer patients. The Hon’ble Supreme Court of India in its judgment dated 7.3.2011 [WP (Criminal) No. 115 of 2009], while dismissing the plea for mercy killing in a particular case, laid down comprehensive guidelines to process cases relating to “passive euthanasia”. Thereafter, the matter of mercy killing was examined in consultation with the Ministry of Law and Justice and it has been decided that since the Hon’ble Supreme Court has already laid down the guidelines, these should be followed and treated as law in such cases. At present, there is no proposal to enact legislation on this subject and the judgment of the Hon’ble Supreme Court is binding on all. S. O. 2535 (E). - The Government has launched the National AYUSH Mission with the objectives of providing cost effective AYUSH Services, with a universal access through upgrading AYUSH Hospitals and Dispensaries, co-location of AYUSH facilities at Primary Health Centres (PHCs), Community Health Centres (CHCs) and District Hospitals (DHs), strengthening institutional capacity at the state level through upgrading AYUSH educational institutions, State Govt. ASU&H Pharmacies, Drug Testing Laboratories and ASU & H enforcement mechanism, supporting cultivation of medicinal plants by adopting Good Agricultural Practices (GAPs) so as to provide sustained supply of quality raw-materials and support certification mechanism for quality standards, Good Agricultural/Collection/Storage Practices and supporting setting up of clusters through convergence of cultivation, warehousing, value addition and marketing and development of infrastructure for entrepreneurs. 2. The National AYUSH Mission encompasses core /essential activities on AYUSH Hospitals and Dispensaries services, development of AYUSH Educational Institutions covering under Graduate and Post Graduate educational institutes, ASU&H drugs quality control covering State Government ASU & HPharmacies, State Drugs Testing Laboratories, drugs control framework and promotion of Medicinal Plants. The mission also has provision for 20% of financial resources for flexible components to be proposed by the State/UT Governments. 3. The resource allocation to the States/UTs is proposed on the basis of population, backwardness and performance of the State/UT. This will ensure a predictable and balanced allocation to the States taking into account equity, performance and backwardness. 4. At the Centre, Department of AYUSH would be responsible as the nodal Department for implementing National AYUSH Mission. The Mission will be steered by a National AYUSH Mission (NAM) Directorate, Chaired by Secretary, Department of AYUSH. 5. An Appraisal Committee Chaired by Joint Secretary in-charge of NAM will scrutinize the State Annual Action Plan (SAAP) before placing it before the National Mission for approval. Appraisal Committee shall consist of technical experts from various disciplines, concerned Director/ Deputy Secretary of NAM as well as in-charges of various components of the Mission. 6. At the State level, the Mission will be governed and executed by a State AYUSH Society. The Governing Body shall be chaired by the Chief Secretary and Principal Secretary/Secretary I/c of AYUSH/ Health & F.W. of the concerned State will be the convenor. 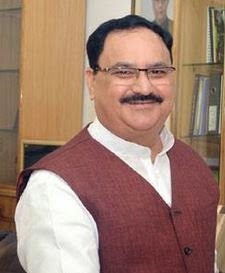 The Governing Body of the State AYUSH society will finalize the State Annual Action Plan (SAAP) after recommendations by the Executive Body. The Executive Body will be chaired by Principal Secretary/Secretary in charge of AYUSH/ Health & F.W. and Commissioner (AYUSH)/Director General (AYUSH)/Director Ayurveda, Unani, Homoeopathy, Siddha will be the member secretary of the Executive Body. The State AYUSH Mission will be supported by the State Mission Directorate, NRHM, State Medicinal Plant Board, Horticulture Department, State AYUSH Drug Licensing Authority, State AYUSH Medical Education Directorates, etc. so that all aspects of programme implementation including technical assessment of requirements, manpower provisioning, capacity building, drug procurement, monitoring and evaluation, etc. can be successfully met. 7. The Mission Directorate of National AYUSH Mission has been vested with adequate administrative and financial powers to enable it to achieve the objectives of the Mission. Department of AYUSH, Ministry of Health and Family Welfare, Government of India has launched National AYUSH Mission (NAM) during 12th Plan for im­plementing through States/UTs. The basic objective of NAM is to promote AYUSH medical systems through cost effective AYUSH services, strengthening of educational systems, facilitate the enforcement of quality control of Ayurveda, Siddha and Unani & Homoeopathy (ASU &H) drugs and sustainable availability of ASU & H raw-materials. It envisages flexibility of implementation of the programmes which will lead to substantial participation of the State Governments/UT. The NAM contemplates establishment of a National Mission as well as corresponding Missions in the State level. NAM is likely to improve significantly the Department’s outreach in terms of planning, supervision and monitoring of the schemes. a. To provide cost effective and equitable AYUSH health care throughout the country by improving access to the services. b. To revitalize and strengthen the AYUSH systems making them as prominent medical streams in addressing the health care of the society. d. To promote the adoption of Quality standards of AYUSH drugs and making available the sustained supply of AYUSH raw-materials. a. To provide cost effective AYUSH Services, with a universal access through upgrading AYUSH Hospitals and Dispensaries, co-location of AYUSH facilities at Primary Health Centres (PHCs), Community Health Centres (CHCs) and District Hospitals (DHs). b. To strengthen institutional capacity at the state level through upgrading AYUSH educational institutions, State Govt. ASU&H Pharmacies, Drug Testing Laboratories and ASU & H enforcement mechanism. c. Support cultivation of medicinal plants by adopting Good Agricultural Practices (GAPs) so as to provide sustained supply of quality raw-materials and support certification mechanism for quality standards, Good Agricultural/Collection/Storage Practices. d. Support setting up of clusters through convergence of cultivation, warehousing, value addition and marketing and development of infrastructure for entrepreneurs. i. Voluntary certification scheme: Project based. 4.2.2 The financial assistance from Government of India shall be supplementary in the form of contractual engagements, infrastructure development, Capacity Building and supply of medicines to be provided from Department of AYUSH. This will ensure better implementation of the programme through effective co-ordination and monitoring. States shall ensure to make available all the regular manpower posts filled in the existing facilities. The procurement of medicines will be made by the States/UTs as per the existing guidelines of the scheme. The Mission at National level will be governed by a National AYUSH Mission Directorate, constituted with following members. 5.1.2 Any other expert may be co-opted as deemed necessary with the approval of Chairperson. This committee shall be responsible for approving State Annual Action Plan (SAAP) based on recommendation of the appraisal committee. The Mission at National level will be facilitated by a National AYUSH Mission Appraisal Committee, constituted with following members. 5.1.4 Any other expert may be co-opted as deemed necessary with the approval of Chairperson. This committee shall be responsible for appraising the State Annual Action Plan (SAAP) and submit to the governing body for approval. The Mission at State level will be governed and executed by a State AYUSH Mission Society, constituted with following members. 5.2.2 Any other expert may be co-opted as deemed necessary with the approval of Chairperson. 5.2.3Ordinary Business: Providing AYUSH System overview, review of AYUSH policy and programme implementations, inter-sectoral co-ordination, advocacy measures required to promote AYUSH visibility and approval of State Annual Action Plan (SAAP). Review of detailed expenditure and implementation of Mission, Preparation of State Annual Action Plan and submit for approval for Governing body, Execution of the approved State Annual Action Plan including release of funds as per annual action plan, follow up action on decision of the Governing body, Monitoring and evaluation and Maintain accounts of the society, and administration of the society. 6.1 In order to strengthen the AYUSH infrastructure both attached Central and State levels, financial assistance for setting up of the Programme Management Units (PMU’s) will be provided. The PMU will consist of management and technical professionals both at Central and State level and will be essentially on contract or through service provider. 6.2 The PMU staff will be engaged from the open market on contractual basis or outsourcing and the expenditure on their salary will be met out of admissible administrative and managerial cost for the mission period. This PMU will provide the technical support to the implementation of National AYUSH Mission in the State through its pool of skilled professionals like MBA, CA, Accounts and technical Specialist etc. All appointments would be contractual and Central Government’s liability will be limited only to the extent of Central share admissible for administrative and management costs on salary head for the mission period. 6.3 In addition to the Manpower cost for PMU, the States/UTs can avail the financial assistance for such administrative costs like office expenditure, travelling expenditure, contingency, Annual Maintenance Cost (AMC) of infrastructure including equipments, computer, software for HMIS, Training and Capacity Building for concerned personnel under each component, audit, monitoring & evaluation, project preparation consultancy and additional manpower for AYUSH Hospitals and Dispensaries. A total 4% of the net funds available for the State is earmarked for State/UTs administrative costs under the Mission. For special Category states (NE States and three hilly States of Himachal Pradesh, Uttarakhand, Jammu and Kashmir) Grant-in-aid component will be 90% from Govt. of India and remaining 10% is proposed to be the State contribution towards all components under the scheme. For other States/UTs the sharing pattern will be 75%:25%. 7.2 For Medicinal Plants: This component will be financed 100% by Central Government in North Eastern State and hilly State of Himachal Pradesh, Uttarakhand and Jammu & Kashmir where as in other states it will be shared in the ratio of 90:10 between Centre and States. i. Population with 70% weightage and 2 as multiplying factor for EAG States, Island UTs and Hilly States. iii. Performance to be determined on inverse proportion of percentage of UCs due and pending as on 31st March of previous financial year will have 15% weightage. Entitled Central Share – (Unspent balance of the Grant-in Aid released in previous years + interest accrued). In respect of non-recurring grants, a certificate of actual utilization of the grants received for the purpose for which it was sanctioned in Form GFR 19-A should be submitted in order to sanction of further grant-in aid. In respect of recurring grants, release of grant-in aid in subsequent years will be done only after Utilization Certificate on provisional basis in respect of grants of the preceding financial year is submitted. Release of Grants-in Aid in excess of 75% of the total amount sanctioned of the subsequent financial year shall be done only after the Utilization Certificate and the annual audited statement relating to the Grants-in aid released in the preceding year is submitted. Grant-in Aid will be transferred through treasury route with effect from F.Y. 2014-15 onwards to State Governments which in turn will transfer the funds to the State AYUSH Society along with State Share. However, during current F.Y. 2013-14, Grant-in Aid shall be transferred as per existing pattern. 11.1 Dedicated MIS monitoring and evaluation cell would be established at Centre/ State level. It is therefore proposed to have a Health Management Information System (HMIS) Cell at National level with three HMIS Managers and one HMIS Manager at State level. 11.2 The concurrent evaluation of the AYUSH Mission shall be carried out to know the implementation progress and bottlenecks and scope for improvement. Third party evaluation will also carried out after two years of Mission implementation. a. Improvement in AYUSH education through enhanced number of AYUSH Educational Institutions upgraded. b. Better access to AYUSH services through increased number of AYUSH Hospital and Dispensaries coverage, availability of drugs and manpower. c. Sustained availability of quality raw-materials for AYUSH Systems of Medicine. d. Improved availability of quality ASU &H drugs through increase in the number of quality Pharmacies and Drug Laboratories and enforcement mechanism of ASU&H drugs. Ayurveda education is regulated under the provisions of Indian Medicine Central Council Act, 1970 read with amended Act of 2003 and Regulations made thereunder. As per the Indian Medicine Central Council (Minimum Standards of Education in Indian Medicine) (Amendment) Regulations, 2012, Ayurveda Education is aimed at producing graduates, having profound knowledge of Ashtanga Ayurved supplemented with knowledge of scientific advances in modern medicine along with extensive practical training to become fully competent to serve the healthcare services. For providing focussed attention to the growth and development of Ayurveda and other Indian Systems of Medicine, the Government established a separate Department under the Ministry of Health & Family Welfare in the year 1995 and now, on 9th November, 2014, the Department has been upgraded to a full-fledged Ministry of Ayurveda, Yoga & Naturopathy, Unani, Siddha and Homoeopathy (AYUSH). National Institutes namely National Institute of Ayurveda (NIA), Jaipur and Rashtriya Ayurved Vidyapeeth (RAV), New Delhi under this Ministry are imparting quality education and training in the field of Ayurveda. Government has also approved setting up of two new Institutes namely All India Institute of Ayurveda, New Delhi and North Eastern Institute of Ayurveda & Homoeopathy, Shillong for education in Ayurveda. Institute of Post Graduate Training & Research in Ayurveda (IPGT&RA), Jamnagar, Gujarat is also funded by Government of India. Central Council for Research in Ayurvedic Sciences (CCRAS), New Delhi is an autonomous body under Ministry of AYUSH for conducting Research in Ayurveda through its 30 peripheral Institutes all over the Country. Finalization of budget allotment is determined by revenue realization, budget demand, past trend of expenditure, assimilation capacity of the implementing agencies etc. Under National AYUSH Mission, there is provision of financial assistance to States/UTs for development of all AYUSH systems of medicine including Ayurveda.